A CMMS is software that helps facility and maintenance teams keep a record of all assets they are responsible for, schedule and track maintenance tasks, and provide a paper trail of work they perform. This works great as a work order management system, but these systems only tell us what to do and when it has to be been done, it doesn’t help us to complete the task and the paper trail doesn’t capture and provide useable knowledge to complete future work orders. That’s where Fasttac comes in – we fill these holes, supercharging your CMMS to help your workers complete the work orders faster and smarter. Pairing Fasttac with your CMMS will allow to finish your work orders 25% faster. Fasttac allows you to take all of the information you need to complete the job. Simply use your iPad or PC to instantly see information organized by location and trade. In a matter of seconds you’re able to view O&M manuals, hardware, exploded parts diagrams, warranty information, and more! 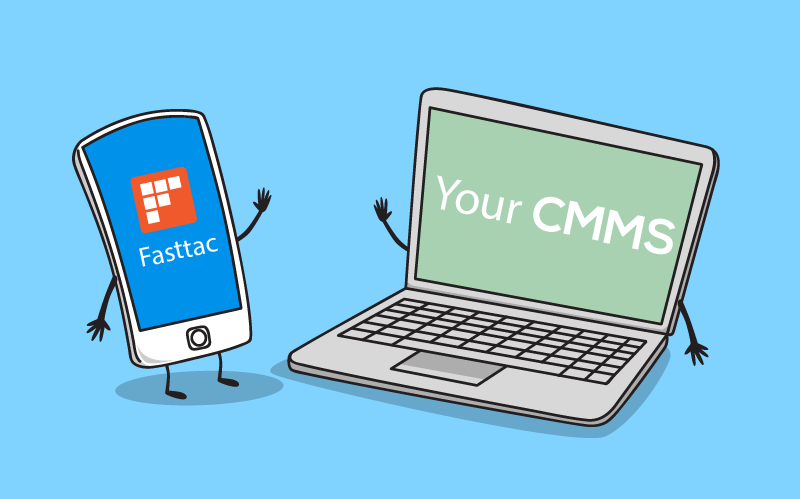 How Does Fasttac Work With CMMS Systems? Your CMMS system will manage what you do and when, Fasttac organizes and provides the information on how to do it to helps you actually complete the work order. Very easily. Fasttac’s robust feature set allows you to easily work between both systems. Fastlinks connect the work order to the location of the work, it provides direct access to required information including O&M manuals, exploded parts diagrams, equipment cut sheets, OEM part information, etc.and shortens the time it takes to complete that work order. Additionally, the technician can add their knowledge of the specific installation to the database to assist future technicians to complete future work orders.